Home / Aliga / Cosplay / Event / Singapore toy game and comic convention / STGCC / Stgcc2014 / More guest annouced for STGCC 2014- Aliga,Lenneth,Eva comics and more. More guest annouced for STGCC 2014- Aliga,Lenneth,Eva comics and more. Aliga should be no stranger to most. She has been invited to several conventions in asia as VIP guest and judge. 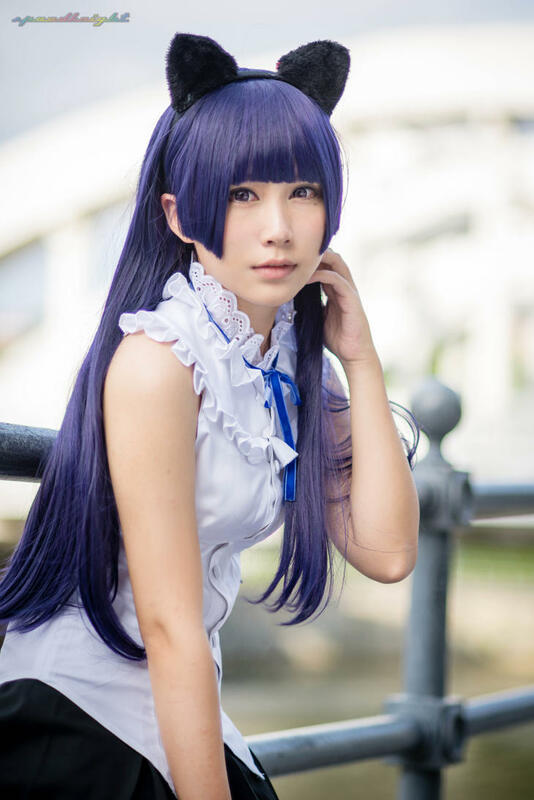 Her kawaii-ness and moe-ness has won her many fans across Asia and beyond. Do check out Cotton Candy Cosplay as well its a webstore where you can find cosplay related items. Lenneth XVIII as Ragyo. (Photo by Muze's photography and cosplay source from Lenneth's FB page). Lenneth XVII is a local cosplayer whom coses a wide variety of characters base on the philosophy of not being picky about who she cosplay as but why she cosplay the character. Its great to see a local cosplayer being featured here. If you have been active on Facebook, you should have seen her works on your newsfeed. Evacomics iconic comic comparing life in Japan and life in Singapore/US are a regular feature on facebook news feed. The comics are a fun way to compare the diffrent countries culture and traditions. "Everyone uses the panda of an icon of something cute and harmless, but I love painting them disgruntled and angry; it takes people by surprise.” -Aaron Martin, AngryWoebots. "Philip started his career with Wildstorm's Taleweaver and Marvel's Uncanny Xmen. He went on to draw a wide variety of books across publishers. Among the few better known works are Todd McFarlane's Spawn and his DC projects like Green Lantern, Barman and Robin, and Savage Hawkman. In recent times, Philip spends most of his days working on his creator owned book, while occasionally contributing to misc covers and stories for major publishers." Born in Melbourne, Australia. Matt " Sekure D "Fabris lost himself in Sneakers and in the ultimate attempt to stand out begun to customize his own sneakers in order to have the most limited of limited releases, the 1 of a kind. Soon it evolved into a part time job painting shoes in his bedroom to the beginnings of a new full time career in design.